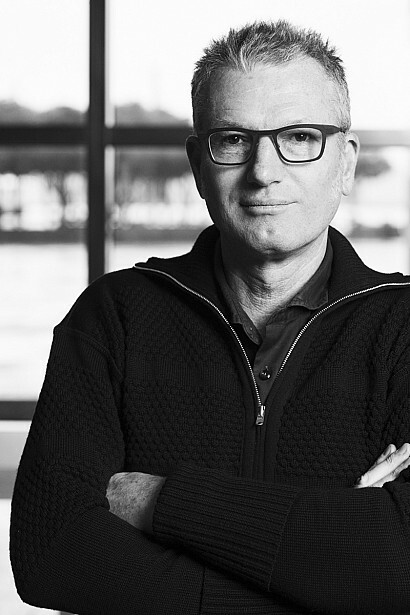 Stuart is responsible for the design direction at architecture+ and has both designed and overseen the design and construction of numerous award winning commercial, civic, corporate interior and residential projects in New Zealand. He is also involved in project delivery and administration. Stuart Gardyne (Wellington 1957) studied architecture at the Victoria University School of Architecture in Wellington, New Zealand graduating in 1981. Stuart worked with Structon Group 1981- 1992 becoming a director in 1987. In 1994 he formed architecture+ with Anne Salmond, Allan Wright and Stephen Poulopoulos. Stuart has a particular interest and experience in the creation of interior and exterior spaces that successfully support the functional and aesthetic demands of users of both the building and the context. He is also interested in developing design solutions that resonate with the cultural, social and environmental aspirations of clients.